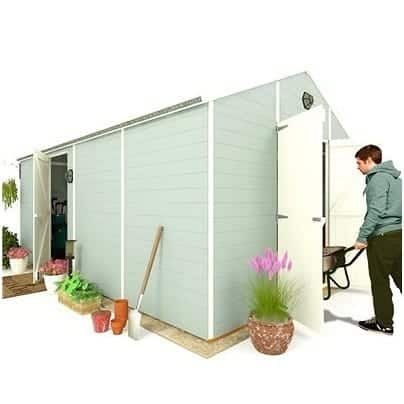 This is a superb premier league shed which is perfect for the avid gardener as not only is it ideal for garden equipment storage but it is an excellent workshop space too – or ideal if you want to put your feet up after a hard morning planting and hideaway! 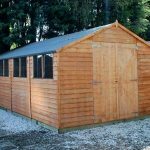 This is top quality craftsmanship with the very best in tongue & groove cladding for the ultimate in strength and durability. 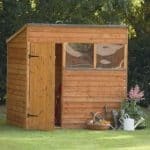 There are two different entrances to this shed – ideal if you need to quickly nip in and out depending on where you are in your garden. 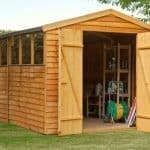 The hard wearing wood will give you many years of use and it is completely weatherproof so it should easily retain its good looks. 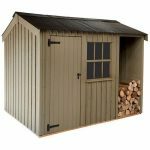 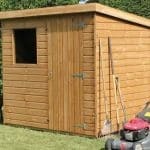 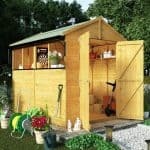 This shed works well in any type of garden and we have no doubt that this purchase will satisfy all of you gardening enthusiasts with you being the envy of all your gardening friends.